As leaders in the home, church, and community, it's imperative to build up men who are actively involved in becoming men of God. While the pressures of life mount daily, we find it necessary to have a place to worship God, serve other, and sharpen each other as iron sharpens iron. There is a need for leaders within our church and in the community. As believers in Christ, we need to equip the men of our body and the future generation to lead as Christ would desire to. 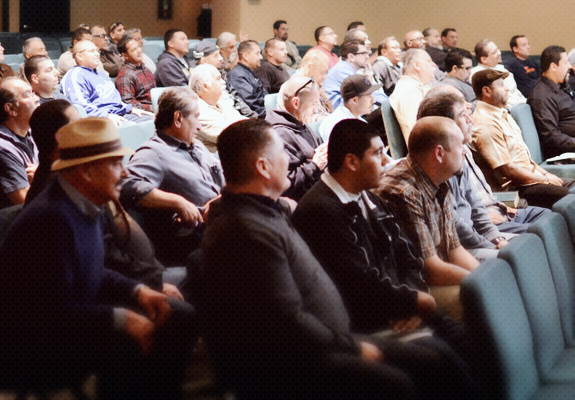 Get involved by ministering in a prison, joining a sport's team, or connecting at For Men Only (FMO) weekly studies. We believe life should be done as a team, not as a solo participant. Get involved and start playing on the team!